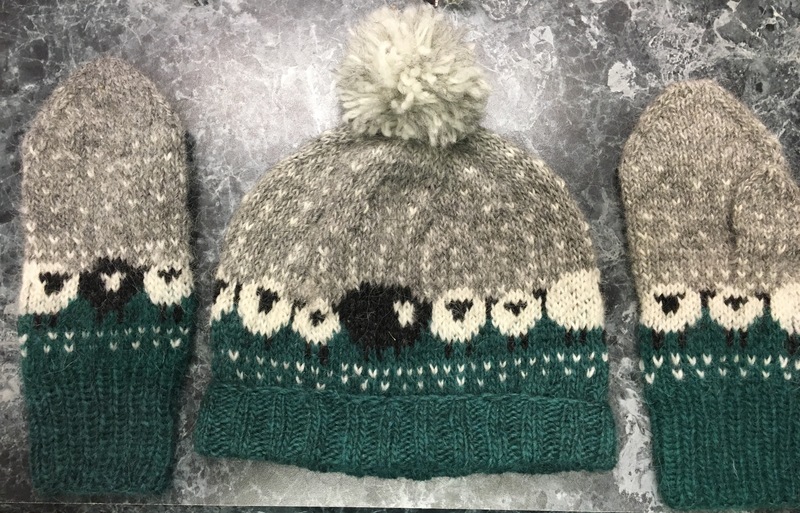 Last fall I found the Shetland Wool Week Newsletter that contained the Baable Hat pattern. It is the loveliest little hat ever. I just love knitting it. 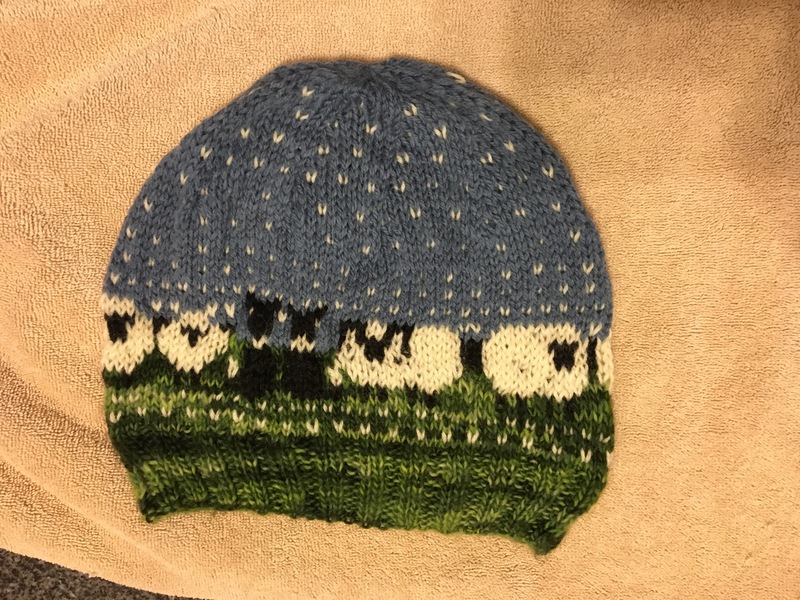 I mean really who doesn’t love a hat with sheep on it. I even made one with border collies on it. Then shipped it to Sweden. This pattern became the most requested item that I make. I have made more than I care to think about and still have several to get done for friends who have requested them. If you have not made this pattern it is a must to do soon. It knits up super fast and is cute no matter what color way you choose. The imagination is the limit. Just search it on google and you can see hundreds of examples. The hardest thing I was asked to make was a pair of mittens with the pattern. Considering I had never done mittens before it was outside my comfort zone. However it did push me to make my husband a pair of mittens in the basic pattern. Then I forged ahead. I think they turned out pretty darn cute.